Who doesn’t like the feeling of a little Vitamin D on the skin now and then? Playing outside for hours on end can have so many benefits for your children but it’s important to make sure they are protected against harmful UVA & UVB rays. Different opinions about sunscreen has made it difficult for most parents to decide whether or not they should be putting sunscreen on their children. Because of this confusion parents have often been leaving out sunscreen all together. Recent studies prove that everyone needs to be protected by sunscreen including your children. It can have catastrophic results if you don’t take special care in protecting your child’s skin while they’re still young. Selecting the right sunscreen is where it becomes tricky. There are many different options available & it’s important to use a child friendly sunscreen on your children that are specifically made with them in mind. So let’s help you find the perfect one for you. How Does Cancer Form From Sun Exposure? When you feel bombarded with all the different types & brands of sunscreen available you might select the first one that catches your eye. Avoid making this crucial mistake by staying informed about different sunscreens and what they do. UVA protection: Sunscreens filtering out only ultraviolet A rays. UVB protection: An SPF of 15 or higher filters out ultraviolet B rays. Specific sunscreen for skin problems or allergies: Formulated with no chemicals. Water & sweat resistant protection: Allows for 30-40 minutes protection whilst in contact with water. Moisturizing sun protection: Usually designed specifically for extremely dry skin & often suitable for the face only. Baby safe sunscreens: Sunscreen designed for babies might be less effective on older children. Sunscreen can be quite expensive. However there are many affordable options available. You’re most likely to pay more for well known brand names and in the end you’d want to invest in a quality product for your child’s protection. Compare ingredients & pros and cons to make sure you’re making the best selection. The SPF on the container will be able to tell you how long your child will be protected from the sun. The lower the SPF the shorter the protection time. Sunscreen expires within two years or less. Have a look at the manufacture & expiry date before purchasing a sunscreen. Sunscreens come in different forms such as sticks, sprays & lotions. 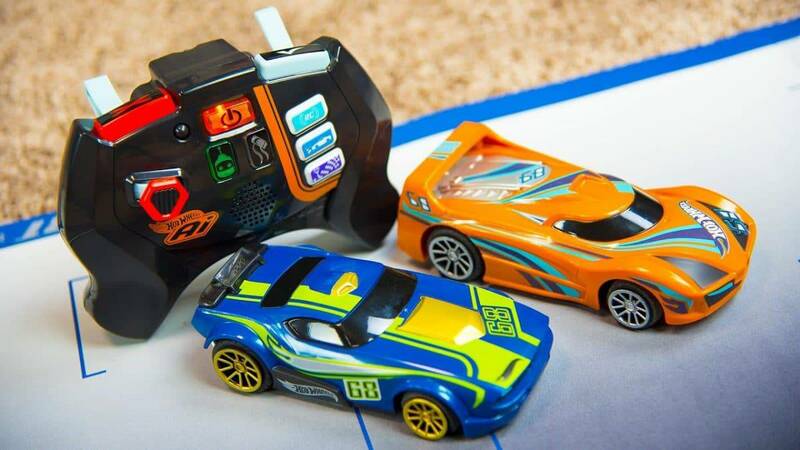 Select one that’ll be easy for you to apply on your child. Why we like it: We love the 100% mineral free protection this sunscreen offers. With breakthrough Purescreen® naturally sourced zinc oxide you can be sure your baby is protected from the sun & harmful chemicals. Neutrogena went the extra mile with this UVA & UVB protecting sunscreen for your baby. This product was awarded the National Eczema Association Seal of acceptance as safe to use for sensitive skin. It’s paraben, fragrance, dye & chemical free. It’s a water resistant formula that’ll keep your baby safe even whilst having fun in the water for up to 80 minutes. It provides two hours of sun protection and needs to be reapplied after 80 minutes in wet conditions. After 80 minutes if your baby is exposed to water. After two hours in dry conditions or more frequently if needed. Suitable for babies but always consult your doctor when applying sunscreen to children under the age of six months. Comes in a small 88ml tube & in the form of a firm lotion. Comes in small packaging so you’ll need to buy in bulk or purchase often. Why we like it: This fast absorbing sunscreen allows for 80 minutes of water fun protection. It’s mineral based with a broad spectrum protection. 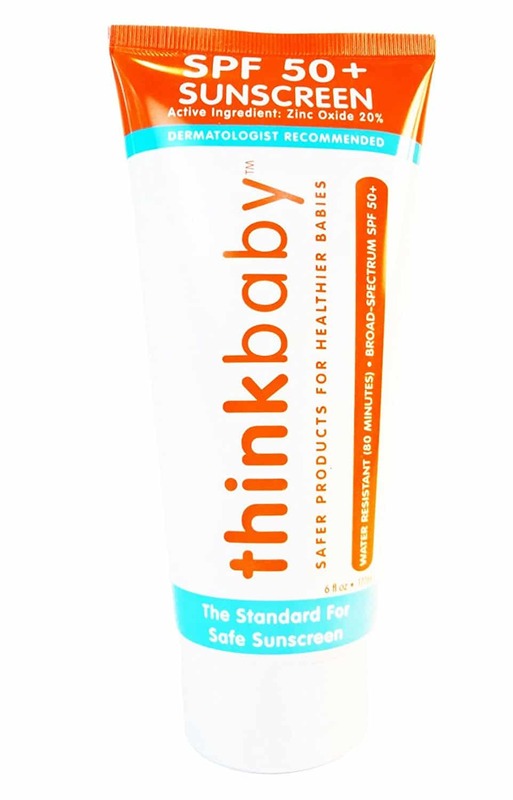 The thinkbaby sunscreen is PABA free & acts as a UVA & UVB protector for little ones. This sunscreen is the first to pass Whole Food Premium Care requirements. It’s a sulphate, paraben, formaldehyde free lotion. Her you have a mineral based sun protection lotion that’ll be easy to apply to your children. Up to two hours protection in dry conditions & 80 minutes in wet conditions. Apply 15 – 20 minutes before sun exposure to face & body. Reapply after 80 minutes if exposed to wet conditions. Reapply after two hours in dry conditions. Reapply immediately after towel drying your baby. Suitable for babies and older children. Comes in an 88ml tube & in the form of a non oily lotion. Although the scent might be pleasant to some, there are consumers who don’t like the melon smell after sun exposure. More expensive than some other brands. Why we like it: It’s not every day you come across a product that has been put together with so much thought & effort. The All good sunscreen for kids are gluten free & vegan! As if that’s not enough they added rose hip and organic green tea to repair damaged or broken skin. We have to say well done to All good for putting together this all natural sunscreen for children with allergies. 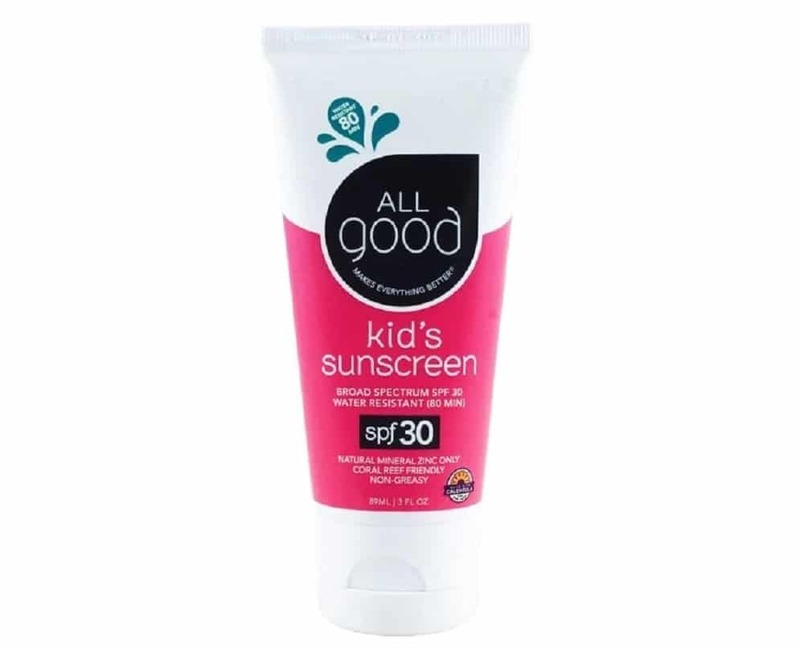 The All good sunscreen is safe to use on children with gluten allergies. It offers UVA & UVB protection and is water resistant for up to 80 minutes. It contains Non-Nano Zinc only to offer you a mild sunscreen suitable for your child’s skin. Non – Nano Zinc is used. One to two hours of sun protection in dry areas & up to 80 minutes in wet conditions. Apply 15 minutes before sun exposure. Apply a thin film of lotion and rub in until absorbed before applying the next layer. Reapplication will be needed after one to two hours. When your baby comes in contact with moist conditions be sure to reapply after 80 minutes. Suitable for children older than six months. Comes in a small 88ml tube. It’s a non greasy lotion and spreads easily. Offers UVA & UVB protection. Doesn’t come in bigger packaging. Only offers an SPF of 30 which means you’ll have to reapply more often. 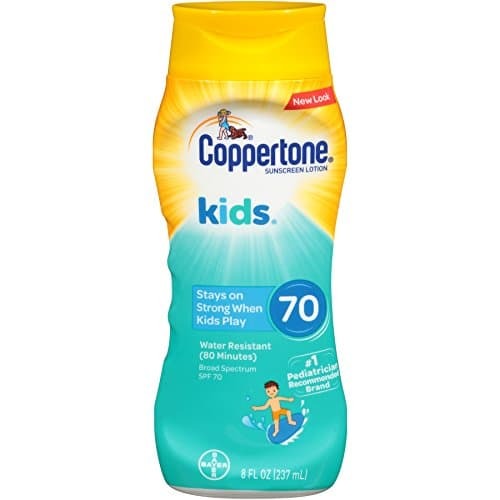 Why we like it: Coppertone is the number one recommended brand by paediatricians so it already has our vote for safe to use products. This sunscreen lotion offers you an anti-oxidant vitamin blend to build your child’s natural skin defence. This dermatologist tested & approved sunscreen will put your mind at ease when applying to your kid’s skin. With UVA & UVB protection the water resistant sun protection will keep your child safe from harmful sun exposure. Non runny formula to protect eyes from product. Two hours of sun protection when dry and 80 minutes of protection in water. Apply 15 minutes before your child goes outside. Reapplication will be needed after two hours of exposure. You’ll need to reapply after 80 minutes of sun exposure in water. Suitable for children older than six months. Consult a doctor before using on children younger than that. Comes in a well sized 237ml tube. This sunscreen is in the form of a lotion. Comes in a well sized bottle. Contains extra anti oxidant vitamins. The higher SPF rate has added chemicals. It’s not suitable for sensitive skin or kids with allergies. Contains fragrance so some children might experience a negative reaction. Why we like it: The Ultra mist makes it easy to apply to your children with a spray on formula & an easy grip container. It’s also tear free so you won’t have to be worried about stinging eyes. The Banana Boat ultra mist for kids provide UVA & UVB protection with an SPF of 50. It’s alcohol free to avoid skin irritation & won’t dry out your child’s skin. Allows for two hours of sun protection. Reapply after 80 minutes in water. Spray 20 minutes before your child goes out in sunlight. Don’t apply directly to the face. Spray into hands and then apply all over face area. Make sure to spray in a well ventilated area. Reapply every two hours or every 80 minutes when in contact with water. Comes in a 280ml spray can. This lotion comes in a mist form for easy application. Comes in an easy to apply spray form. Special caution must be taken when the can comes into contact with heat/sun as it’s pressurized. Using a mist form might cause product wastage. Why we like it: We love that this product comes in a bigger & smaller size. It also contains Aloe Vera & Vit E to prevent your child’s skin from drying out. 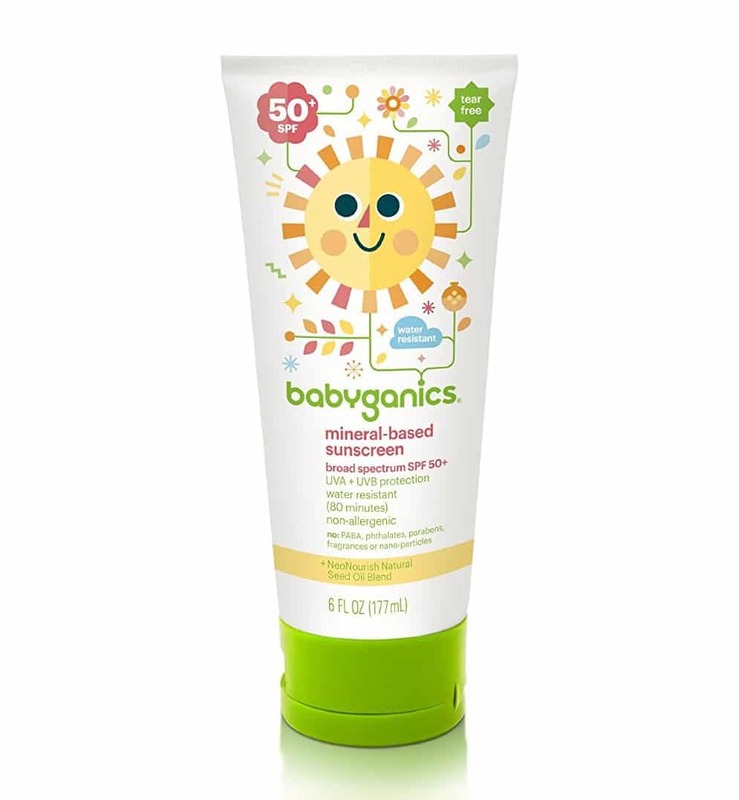 This hypoallergenic sunscreen is suitable for children with sensitive skin. It doesn’t contain any fragrance making it extra mild to use. It’s recommended by the Skin Cancer Foundation as a suitable sunscreen to be used on children. Offers two hours protection or 80 minutes in water. Apply gently over face and body 20 minutes before exposed to sun. Take special care to cover ears, nose & neck. Reapply after two hours in dry conditions or 80 minutes if child comes into contact with water. Suitable for children. Consult your doctor before using on babies younger than six months of age. Comes in a large 473ml bottle. There’s also the option of a smaller sized bottle. It comes in an easy to apply lotion form. Moisturizing properties with added Aloe Vera. It’s not tear free so might burn your child’s eyes. Why we like it: We’re crazy about this environmentally friendly product. Alba Botanica takes special care of using botanical ingredients. This product is not tested on animals or harmful to the environment. It’ll offer your child gluten free, Paraben free broad spectrum sun protection with no artificial colors or fragrances. This all natural sunscreen contains 100% vegetarian ingredients. It offers antioxidant properties with ingredients such as Vitamin E. Palm kernel oil will leave your child’s skin feeling soft. Alba Botanica also doesn’t add any active ingredients that might be harmful to coral reefs. This is the ultimate eco friendly sunscreen. Offers you one to two hours of daily protection or 80 minutes in wet conditions. 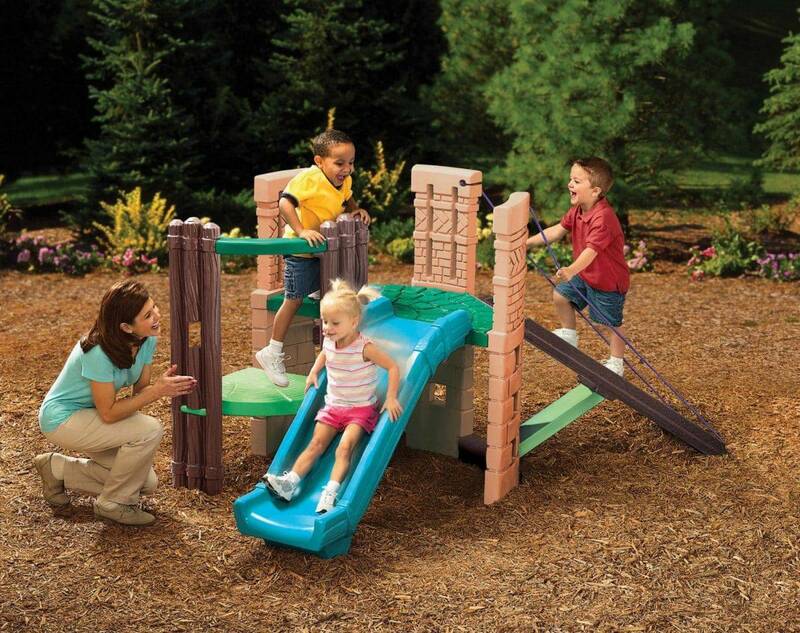 Apply to exposed areas 20 minutes before taking your child outside. Take special care of ears & folds behind the knees & under the arms. Reapply after one to two hours and after 80 minutes in wet conditions. Suitable for small children. Ask your doctor’s advice before applying to children under the age of six months. Comes in a medium sized 118ml tube. It’s a light weight easily absorbed lotion. Natural sunscreens might have distinct smells. Why we like it: This mineral sunscreen offers your child extra mild & gentle sun care. The active naturals oat extract provides a moisturizing protection against UVA & UVB rays. 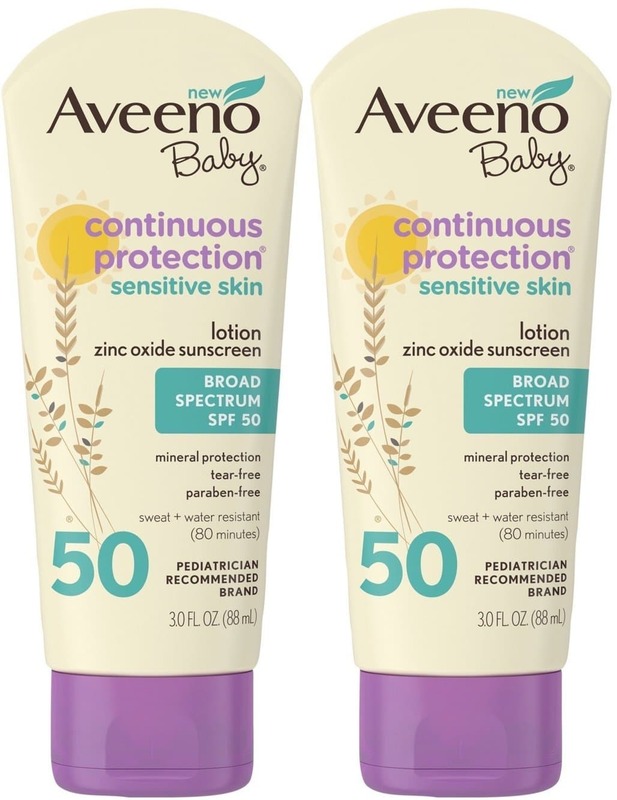 The Aveeno baby continuous protection is a non greasy water resistant sunscreen that’ll prevent moisture loss. Contains 100% naturally sourced Zinc oxide & was awarded the NEA seal of acceptance. This will be perfect for children with eczema or sensitive skin. Your child will be protected for up to two hours & for 80 minutes when exposed to water. Apply 15 minutes before going outside. Reapply frequently especially after towel drying & water exposure. Suitable for babies six months and older. Consult your doctor before applying on a child under the age of six months. Comes in a small 88ml tube. It’s a fast absorbing light lotion. Contains naturally sourced Zinc oxide. Suitable for children with eczema. Expensive for the size you get. Why we like it: This sunscreen contains a special blend of sunflower, tomato, cranberry seed oil and more. It’s also dermatologist and paediatrician tested making it safe to use for your little one. This plant based sunscreen contains no fragrances or parabens. The products aren’t tested on animals making it an environmentally friendly product. With an SPF of 50 it offers UVA & UVB protection. Your child will be protected for two hours before reapplication is needed. Apply 15 minutes before sun exposure. This product is only for small areas of exposed skin. It’s recommended to use this sunscreen with another sunscreen if you want to apply it to larger areas. Reapply every two hours. Comes in a 177ml tube. It’s a non greasy lotion. Contains NeoNourish seed oil blend. Only suitable for small areas of exposed skin. The smell might be too natural for some consumers. Why we like it: It’s a natural mineral based sunscreen. Plant derived ingredients will be gentle on your child’s skin. 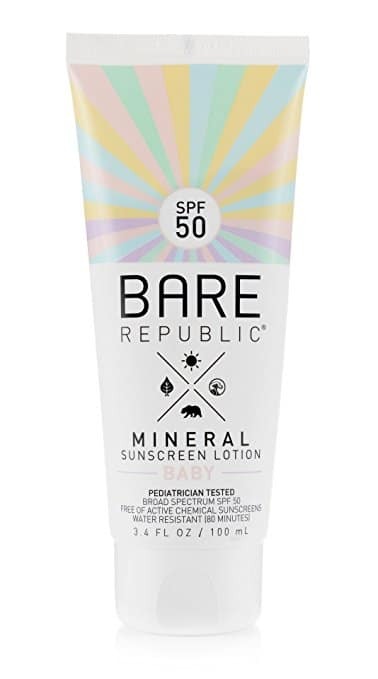 Bare republic brings you this extra sensitive formula to protect your baby’s skin. It contains soothing natural ingredients such as coconut oil to nourish your little one’s skin even while you’re out and about. Non nano zinc oxide formula. Offers two hours protection. Reapply after towel drying your baby & 80 minutes after being exposed to wet conditions. Apply 15 minutes before going into the sun. Take special care of ears, forehead, nose & your baby’s hands and feet. Reapply every two hours or 80min if child is exposed to wet conditions. Suitable for babies. Consult a paediatrician before applying to babies six months and younger. Comes in a 100ml tube. It’s a lotion formula that spreads easily. Offers soothing & nourishing benefits. Might be too greasy for some consumers. Some of the ingredients might stain clothes. The short answer is yes! Sunblock can save your child’s life! But how? Before it’s too late: Up to 80% of sun exposure and sun damage happens before the age of 18 years. This statistic puts a lot of pressure on you as a parent to prevent damage to your child’s skin & health to benefit him or her later in life. Once is enough: One bad episode of sunburn in childhood can double the chance of getting melanoma as an adult. Aging: What your daughter’s skin is going to look like in 20 years’ time might not be of concern to you now. However if you can prevent her from spending thousands of dollars on skin regimes later in life why not jump in and do it? 80% of aging in skin is caused by early sun exposure. Go on mom, help her maintain her youthful look. There’s good news: Applying sunscreen regularly with an SPF of 15 or more before the age of 18 years can lower chances of skin cancer by 75%. Don’t stop: With different opinions doing the rounds, many parents stopped using sunscreen on their children. According to research if parents stop putting sun protection on their children skin cancer cases will increase to close to 1 billion cases in only 20 years’ time. Emphasis on children: Children get exposed to more or less 10 hours of sun weekly and even more during school breaks. This is three times more than the average adult. Cancer is a word you don’t want associated with your child. Unfortunately one of the most common reasons for cancer amongst adults is unprotected sun exposure. Melanoma is the most severe form of skin cancer caused by sun exposure. It affects one in every five Americans & the number is growing daily. Cancer is the growth of abnormal skin cells. When uncontrolled the growth in skin cells will cause tumors that can be categorized into two divisions namely non cancerous & cancerous. Squamous cells carcinoma: Makes up 95% of skin cancers. It’s a less serious cancer if treated & diagnosed early. Basal cells carcinoma: Basal cells carcinoma falls in the same category as squamous carcinoma as it also forms part of the 95% of skin cancers. It’s highly curable if treated early. Melanoma: Melanocytes is the formation of abnormal skin pigment cells. Melanoma is made up of melanocytes. It’s a fast growing, fast spreading cancer that’s responsible for more than 75% of all skin cancer deaths. Melanoma is the most severe form of skin cancer. Telangiactasias: Up to 80% of sun exposure and sun damage happens before the age of 18 years. This statistic puts a lot of pressure on you as a parent to prevent damage to your child’s skin & health to benefit him or her later in life. Freckles: One bad episode of sunburn in childhood can double the chance of getting melanoma as an adult. Moles: What your daughter’s skin is going to look like in 20 years’ time might not be of concern to you now. However if you can prevent her from spending thousands of dollars on skin regimes later in life why not jump in and do it? 80% of aging in skin is caused by early sun exposure. Go on mom, help her maintain her youthful look. <li”>Yellow complexion: This is called sallowness. It’s when the skin discolors to seem almost yellow. Asymmetry: Moles should be symmetrical. As soon as you see a mole changing its shape go to the doctor for a check up. Border: The edge of a mole should be smooth & not uneven. Color: If a mole turns darker, it’s time to have it looked at. Cover up: Try to cover the mole with clothes if it’s somewhere on the body that’s automatically exposed. For instance if it’s in the facial area you should always wear a hat outside. Sunscreen: Always apply sunscreen on any exposed mole & make sure to reapply frequently. Let’s have a look: Schedule yearly check ups with your doctor to make sure that all is still well. Sunscreen is often only applied to our children when they’re playing in direct sun or when they go to the beach. There’s a misconception about when sunscreen should be applied. Do you apply sunscreen to your child’s face during winter months? If your answer is no, you might want to reconsider. UVB rates are filtered out by clouds & during winter months. However UVA rays are still present during colder months & still penetrate the skin even through your clothes or while you’re indoors. Don’t hesitate to slap on some sunblock even if there’s no sign of the sun coming out. UVA Rays: These are also known as “long wave” rays. The name long wave is given because it can penetrate much deeper into the skin than UVB rays. UVA rays are responsible for skin ageing & for initiating skin cancer. UVB Rays: Called “short wave” rays they don’t penetrate as deeply as UVA rays. These are the rays you can thank for the lobster red sunburn. UVB rays can be felt on warm days & even though they can be around during winter, they’re mostly present during summer. 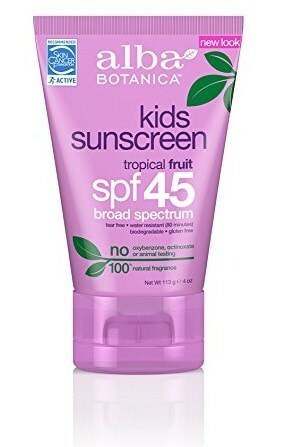 Because you want the best protection for your child, you might want to take the highest SPF available as you feel it’ll give a much higher coverage right? Wrong. Consumers are often misled into thinking that the SPF number will tell you how strong the sunblock will be. Although the SPF rate can have a small influence on the sunblock’s strength it’s actually a way of knowing how long the sunblock will last before it needs to be reapplied. Here’s a better idea of how it really works. Your unprotected skin theoretically will take 20 minutes to turn red. By using an SPF of 15 you’ll be able to be in the sun for 15 times longer before you’ll turn red. In other words you should be able to be in the sun for five hours before turning red. Does this mean that you can cover your child with the highest SPF sunscreen & let them run free all day? Unfortunately not. In reality global warming is making it impossible to expect any sunscreen to last for more than two hours. Always go the safe route and reapply sunscreen after two hours or more often if needed. From top to toe: Hats aren’t simply cute accessories. Protecting your little one’s head is of optimal importance as that’s the part left out when applying sunscreen. UV gear: Thanks to innovative technology you now get clothes that filter out UV rays. Limit exposure times: Even if you reapply every 80 minutes to two hours, make sure to still limit your child’s sun exposure time. This is especially important between 10am and 3pm as this is the warmest time of the day. 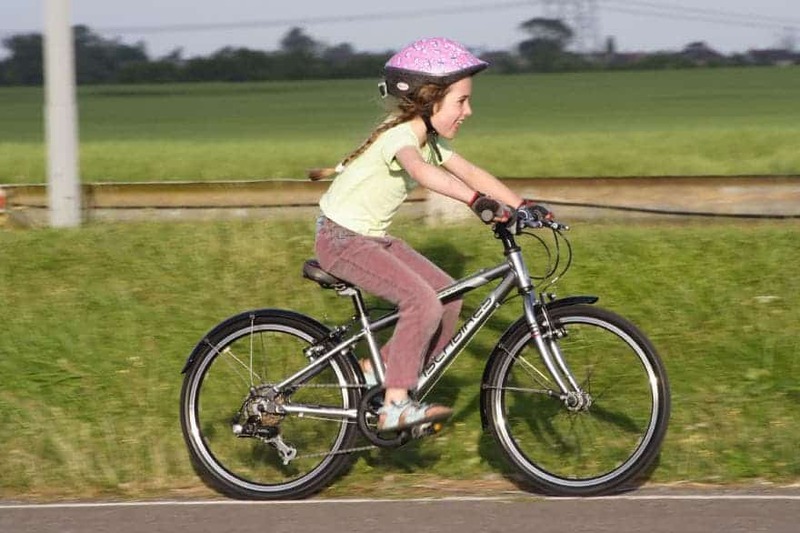 Eye protection: Don’t forget about your child’s eyes. Invest in quality sunglasses that’ll block out harmful rays as soon as kids are big enough to wear them. Sunscreen should be used for babies six months and up. Babies that are younger than six months should be kept out of the sun as they’ve not developed filters yet and they have extremely thin skin. However if you’re going to take your baby outside you should always ask your paediatrician’s advice on a sunscreen that’s safe to use. Feel good hormones are released when your child plays outside & are exposed to Vitamin D. But over exposure can soon turn that joy into painful sunburn with long lasting negative effects. There are many options available to consider but the most important aspect is protecting your child with a good quality, high enough SPF sunscreen daily. Your child can’t protect him or herself against the damage of harmful sun exposure but you can. Applying sunscreen to your child will be the best investment in his health that you can ever make.